Welcome back for the second part of our blog post series “Housing in Paris”. This post is targeted to all those ESSEC students that plan to live the true Parisian life in the heart of the city. Living in central Paris has many advantages. You will be close to the main Parisian attractions such as the Louvre, Champs Elysees and the Tour Eiffel, but that’s not it! You will have the chance to dive directly into the French culture by discovering the different sides of the city of lights. Moreover, You will have the opportunity to run along the River Seine and to take an aperò with your friends in Le Marais, enjoy an art exhibition at Grand Palais and try famous French pastries at the patisserie at the corner of the Rue. Of course, it has also some disadvantages, the biggest one being distance from the school: in fact, it will take a 45-50 minutes train ride to reach ESSEC, which is located in Cergy, at the end of the RER A. The second step is starting to check out apartments online, based on your preferences. 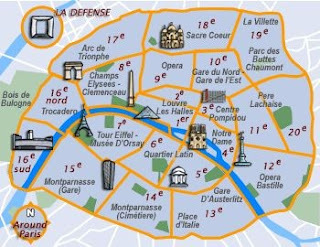 Here, you need to be aware that Paris has 20 districts (arrondissements) that are organized in a snail-like formation, the 1st arrondissement being the center of the city (near the Louvre) and the others are around it. The very heart of Paris includes arrondissements 1 to 9 and arrondissements 10 to 20 form the second ring. 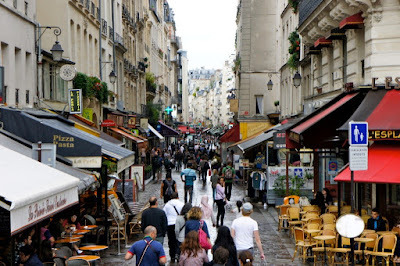 Each arrondissement has its own personality: the Latin Quarter (5th) is a charming, lively arrondissement that is quite expensive. The 3rd arrondissement (Le Marais) is a trendy and touristy area, with excellent restaurants and shops. Bastille (11th) is a residential area, which is also popular for its nightlife. For more information about the different arrondissements, click here. Studying at ESSEC means taking the RER A to reach Cergy. The RER A can be taken at the following stations: La Defense, Charles de Gaulle Etoile (8th), Auber (9th), Chatelet Les Halles (1st), and Nation (11th). It's a wise choice to find a flat near one of these stops, or at least near one subway stop that will allow you to reach one of these stations quickly. If you prefer sharing a flat with someone, you should check out these website for house sharing. These solutions are good to avoid agency costs and to find new friends! Facebook Groups are also a good idea! Some landlords would prefer you having a French guarantor, that is a relative of yours that live in France and that can guarantee your lease. Some agencies and landlord don’t require the guarantor to be French. If you are a student and below 26 years old, you are most likely entitled to have a housing subsidy from the French state. The amount you get depends on the location of your flat, the size and the rent. Normally, it’s between 100 to 220€ a month. More info here. Visit before renting! Although Paris is not known for scammers, it is good practice to visit an apartment before signing a contract or paying a deposit. It will allow you to check that the room is decent and that the area is safe and nice!